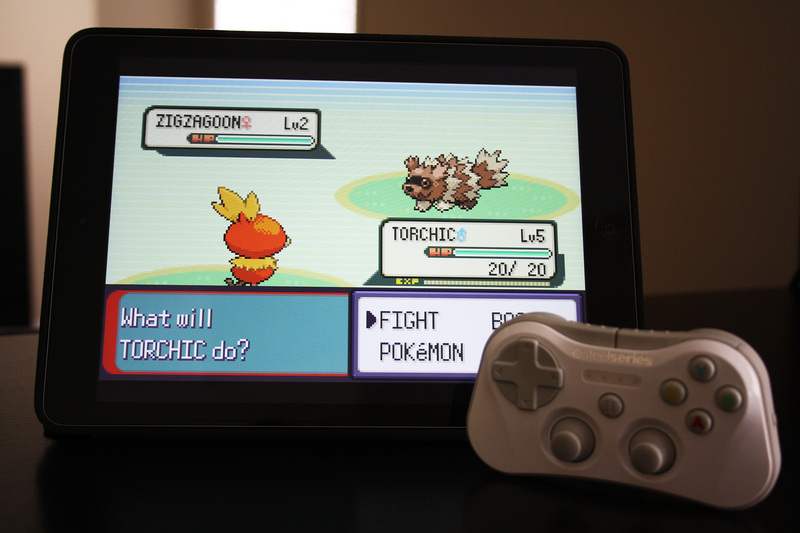 Portable gaming has come a long way in the last few years. What used to be dominated by Nintendo’s DS platform has seen lost market share to mobile. 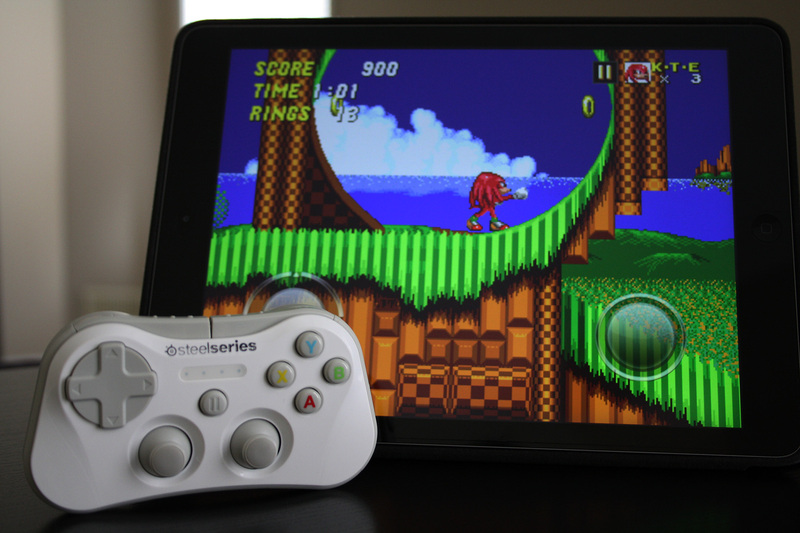 A major advantage that mobile has over portable gaming consoles are hardware updates. Apple launches new hardware once a year, whereas Nintendo can only do the same every few years. This allows the technology within these devices to improve significantly, helping to grow the platform quicker than any market has seen before. 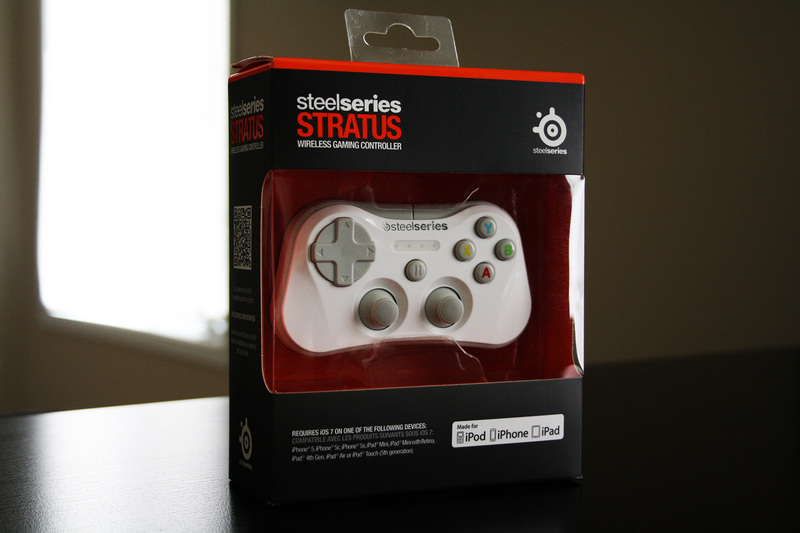 Originally released in early 2014, the Stratus is one of the first dedicated iOS Bluetooth controllers. There have been a few entries from Logitech and Moga, but were restricted to controller + case combinations. Having a standalone controller adds a new level of immersion. I have Bluetooth headphones to add in the mix, resulting in the closest possible experience compared to a dedicated console. The Stratus was partially charged out of the box, allowing me to pair it with my iPad for a test run. There are 4 LED lights on the front that indicate charge status. The internal battery is rated at 10 hours and is recharged with the included USB cable. Once the controller is turned on for the first time, it will immediately enter pairing mode. Visit the Bluetooth settings page on the device and locate the Stratus. Simply tap to pair and you’re set to go. The controller works right away and has no configuration page. Compatible games will detect that it is enabled and adjust accordingly. If there are any problems connecting, a button is located on the back of the Stratus to re-engage pairing mode. I tested the Stratus with a few games on iPad including Bioshock, Sonic 1 & 2, Oceanhorn, and a Gameboy Advanced emulator featuring Pokemon Emerald. Even with Pokemon not being available in the AppStore, it was still recognized and worked flawlessly. The on-screen controls disappeared, providing a full display for the game. This was possible before by using an iPhone or iPod Touch paired over Bluetooth to an iPad and having the iPhone skinned as a Nintendo controller to play games. The other option was to use a Nintendo Wii remote to control the emulator. Having a dedicated iOS controller has been the best experience for playing games compared to any other input method. 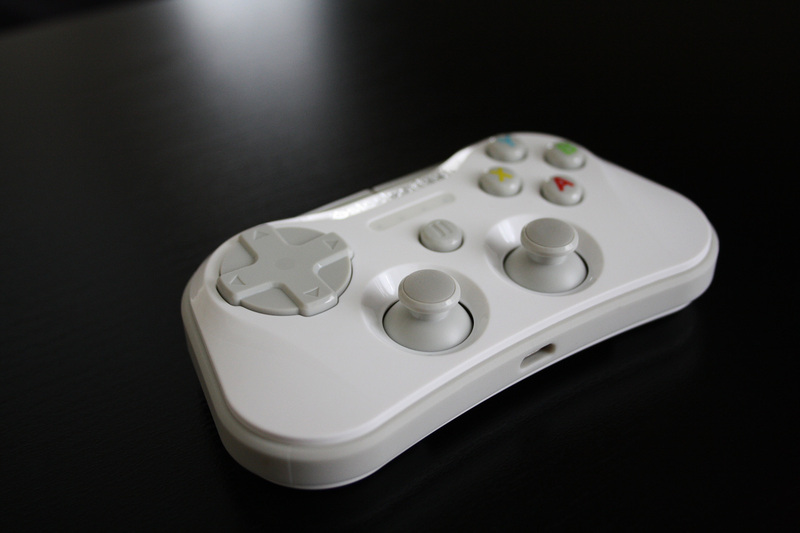 The controller features two analog joysticks, a D-Pad, four face buttons, four trigger style buttons, and pause. There is also a power switch on the side to conserve battery when not in use and the Bluetooth pairing button at the back. The face buttons are labelled as A B X Y, and the triggers are L1 L2 R1 R2. They can be configured within each game separately for specific controls. The buttons are rigid and do not feel cheap when pressed. Even multiple presses in quick succession were recognized. The joysticks have resistance when engaged, which I prefer to ensure precision. A cover plate was also included in the box that can be used to protect the front of the controller. When in use, the cover plate can be attached to the back to provide additional grip. The Stratus is capable of receiving firmware updates, but the one I purchased was already at the latest one. If an update is released in the future, they can be downloaded here. I have thoroughly enjoyed using the SteelSeries Stratus so far. I’ve had eyes on it for a while but never made the investment. It has significantly enhanced my gaming on iOS and will continue to use it in the future with new devices. It is priced at $79.99, and can be purchased at many retailers including Amazon.